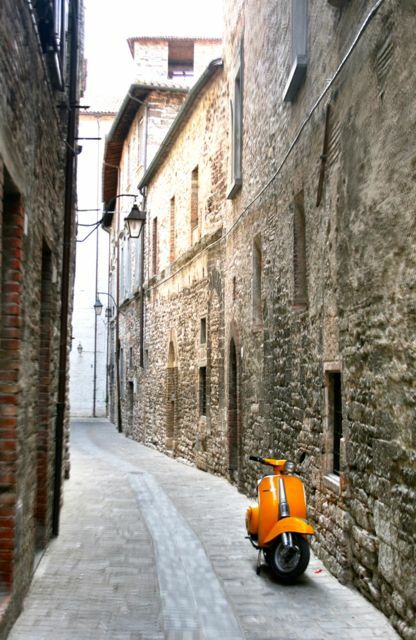 Gubbio is a short drive from most of our villas on the Tuscany Umbria border. 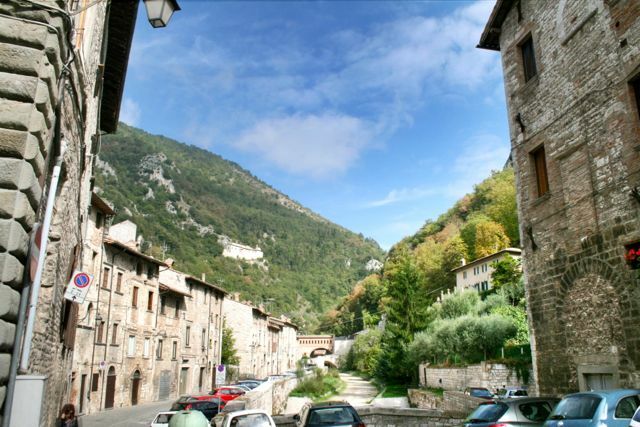 It is a beautiful medieval town perched on the slopes of Monte Ingino. 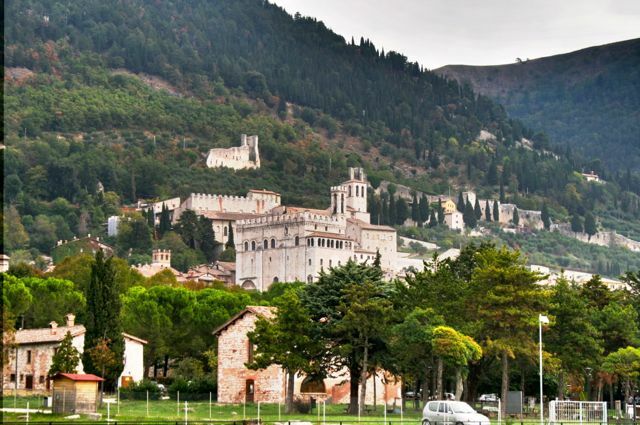 In Roman times, Gubbio was located in the plain below but as the times became more dangerous, the town moved higher up. Today, as with many old Italian hill towns, there is a lot of new building below the old part of Gubbio. The main car park is right next to an old Roman amphitheater from where, it’s a short walk into the old town. 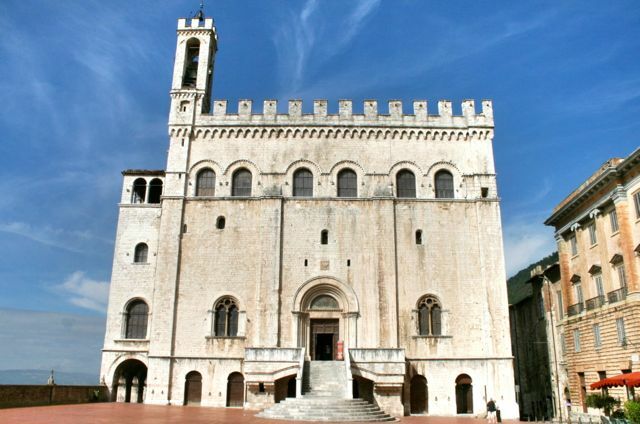 If you follow the route of the Gubbio walks in my book, Circular Walks On The Tuscany Umbria Border, you head through Piazza Giordano Bruno and up towards the Palazzo dei Consoli, Gubbio’s medieval town hall. 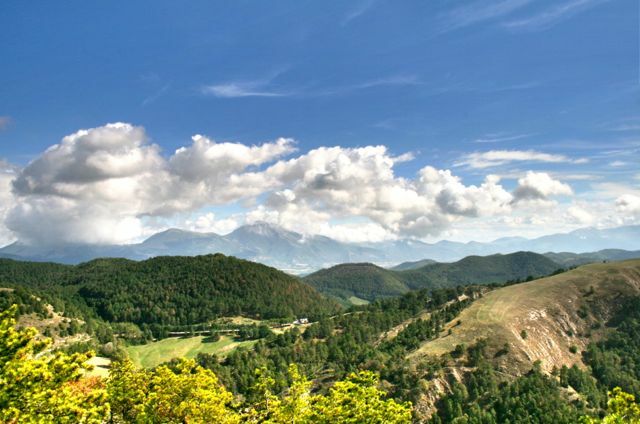 Along the way, there is a great view up the Bottacione Gorge towards the Hermitage of San Ambrogio. At the top of via Consoli, you arrive at the Palazzo dei Consoli and the piazza Grande, as the name suggests, a large piazza built over huge arches to provide a large flat area. Paved with bricks laid in a herringbone pattern, there are great views across the countryside below. If you have time, it’s well worth a look inside the Palazzo dei Consoli which houses a small art gallery and the Eugubine Tablets, a set of bronze tablets that have writing in the Umbrian language in the Etruscan alphabet and the translation in Latin. From here you can head to the eastern side of town and take the funavia cable car ride up Monte Ingino. 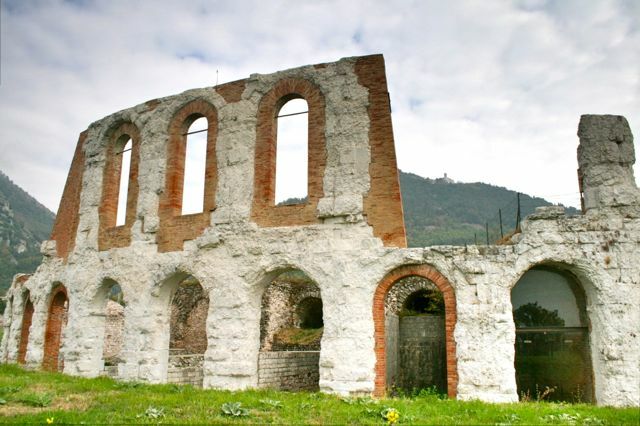 The ride takes about six minutes, at the top you can visit the church of Saint Ubaldo, Gubbio’s patron saint and one time bishop. 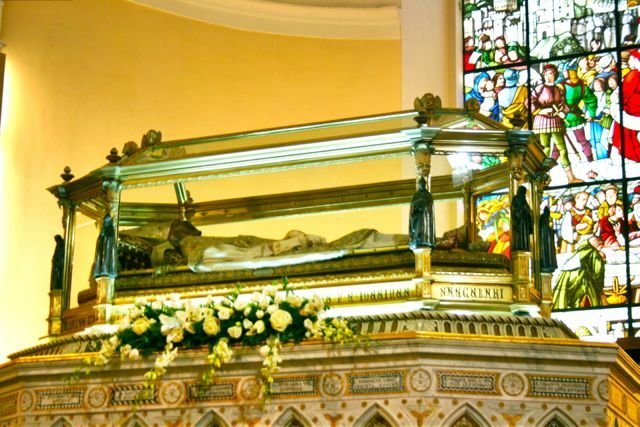 Ubaldo’s corpse lies on display in a glass coffin inside the church. You can usually also see the “ceri”, or large wooden “candles” carried up Monte Ingino in a race every May 15th. A steep but relatively short climb from the church takes you up to a watchtower with incredible views across the Umbrian landscape. From here you can continue on one of two walks in my book, either will eventually bring you back to the town. Returning back to the narrow streets of Gubbio, It’s time for a well deserved drink!